The geographical layout of the Yucatan Peninsula is very different to that of other parts in Mexico. The soil in this part of Mexico is mainly comprised of limestone, with a very fine layer of topsoil, which makes it porous and flat. Rather than having rivers above the ground, the area has an abundance of underground rivers and cenotes, as well as a huge number of caves. This uniqueness in its topography and its beautiful coastline makes the Yucatan and ideal area for ecotourism adventures and there is wildlife to be seen. The cave system, named ‘Grutas de Santa Rita’ is situated close to a small village, called Chemax. This is not very far from city the city of Vallodolid. A co-op, comprised of Mayan farmers, runs the local ecotourism project. Two of the caves have been made available for visits from the public. One of them was used as a place of shelter by the Mayans during ancient times and in recent times, it has been used by wild animals, like jaguars. This particular cave, called Madre Cristalina, is large and the rock formations inside it are translucent and white, giving it the appearance of crystal. One can view ancient handprints on the walls of the cave if you venture far enough into it. Aside from visiting the caves, you can also do some kayaking. The La Carbonera lagoon is placed on the northern side of the Yucatan peninsula. You can paddle along this calm lagoon, where there is a range of different birds to view, such as herons and flamingos. You should enter a canal within the mangrove forest and if you continue further, you will reach a natural spring. You can take a refreshing dive into this clear water after your trip down the lagoon. Aside from visiting the caves and canoeing to the natural spring, you can also dive into the deep cenotes. There are tour companies that offer these trips to visitors and you can opt for a single day tour or one that lasts for several days, which covers a larger territory. The tour companies provide all the necessary equipment that is required for these eco-adventures. If you intend enjoying the beauty Mexico has to offer, you should ensure that you all your paperwork is in order before you set off on your trip. This will ensure that you enjoy your trip and undertake all your adventures without any possible legal or regulatory problems. Aside from making sure that your personal documents, such as your passport is in order, you also need to have Mexican car insurance. In Mexico, your car insurance from the US or Canada is not valid. If you are stopped by traffic authorities, you may be asked to present documents for your vehicle, such as the registration papers, your driver’s license and proof that you have current, valid Mexican auto insurance. You can buy Mexican vehicle insurance online or at the border post. It is advisable to obtain it online as you will be offered better prices and more options if you do so. You will also have the time to consider the best options for your needs, rather than being rushed at the border post.You can click here to purchase your Mexican auto insurance. I’m planning to purchase my Mexican insurance. What are the requirements and what will I need to do? Is the 6-month insurance good for me? Or, is it better to get a long-term policy? An annual policy costs only 10-15% more than a 6 month policy, so check to see which one suits your needs best. After asking some online car insurance quotes, I realized your website offers the most affordable policy. I have become a new client of Mexican Insurance Store. You have provided me such a remarkable customer service. Because every trip needs a plan, knowing a roadside help program makes a perfect idea. This assistance from my Mexico insurance company will get me back to my correct way. This is a good service and I expect it from this car insurance company. 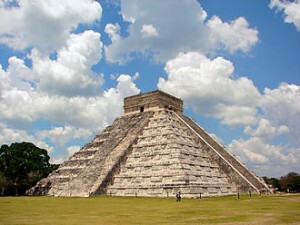 It’s too difficult to plan for Mexico trip. That’s true, if you have no Mexico insurance. So purchase one first. Also, find a travel agent guide who can guide you through – from beginning to end. Many travelers really do not realize the importance of Mexican insurance. They don’t understand the high risk of potentially putting themselves in dangers because of accident. Who said you can’t get your car insured quickly? 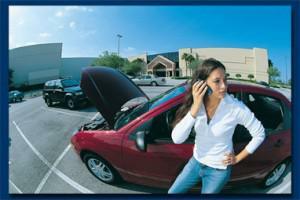 With Mexican insurance, you can have your vehicle covered using your iPhone. You can drive on toll roads if you have Mexico insurance coverage. You can apply online using your Smartphone! Its easy and less expensive online. Just make sure your phone works in Mexico. Thinking about a motorcycle adventure in Mexico? You gotta know some stuff like Mexican gas, roads, and of course Mexican insurance for your ride. 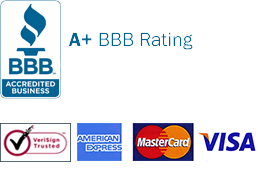 Mexican Insurance Store offers very affordable A+ Rated policies. Regardless of your goal when you drive to Mexico, your non Mexican insurance isn’t valid in Mexico.